Need help cleaning up your Halloween Party? 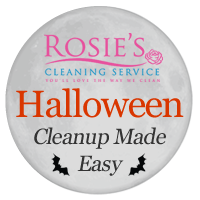 We’re excited to announce a special offer to help you clean up that SCARY MESS after your spook-tacular Halloween Party. 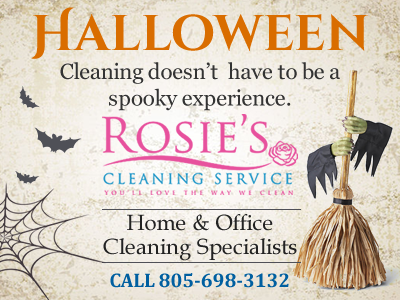 Let Rosie’s Cleaning Service help clean up the mess! Contact Rosie’s Cleaning Service today and request your free cleaning quote. We offer dependable, trustworthy, affordable, and reliable home and office cleaning in the Santa Barbara and surrounding areas. Our dedicated team of cleaning service professionals and Ventura maids are ready to assist you with all of your cleaning needs for your home or business. Our service hours are 8 am to 5 pm Monday through Saturday. Sunday services are available upon request with an additional fee. We can offer you a regular cleaning plan to help you stay on top of your home, work, and life balance. Whether you need cleaning service weekly, bi-weekly, monthly, or daily, we provide customized cleaning solutions that are sure to meet your needs. 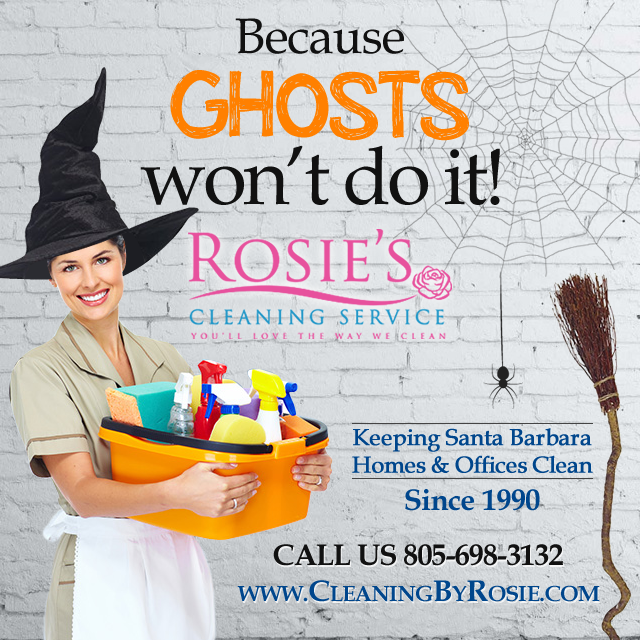 Rosie’s Cleaning Service has been offering superior cleaning services in the Santa Barbara and surrounding areas since 1990. We’re also licensed, bonded, and insured which allows for us to consistently maintain our A+ Rating with the Better Business Bureau. I just followed the Facebook page of Rosie’s Cleaning Service. Looking forward to more after party cleaning specials! There are a lot of things to keep in mind when throwing any party, and I always dread the mess that needs to be cleaned afterwards. I’m glad to know that there is a Santa Barbara cleaning company willing to do this after-party house cleaning for me.